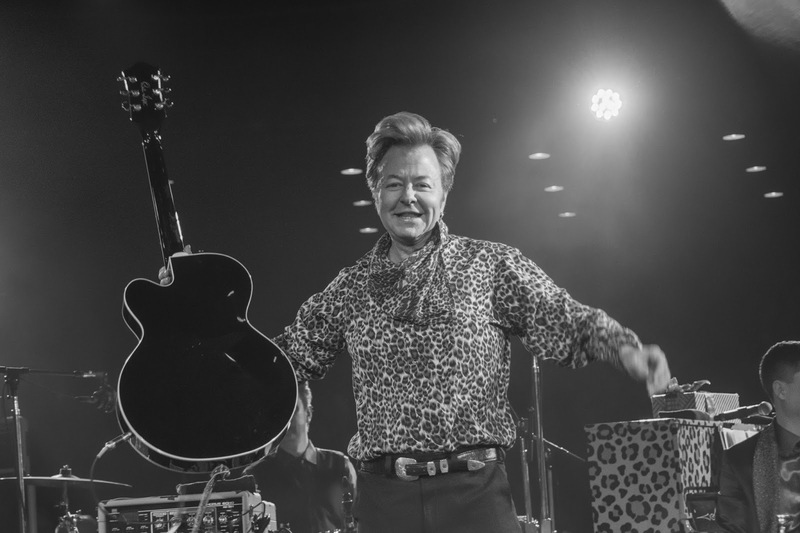 Legendary rockabilly guitarist Brian Setzer and his 16-piece orchestra (and two beautiful backup singers) threw the Christmas party of the year on Thursday night to a sold out crowd at Phoenix’s famed Celebrity Theatre. This being the 13th Annual “Christmas Rocks! 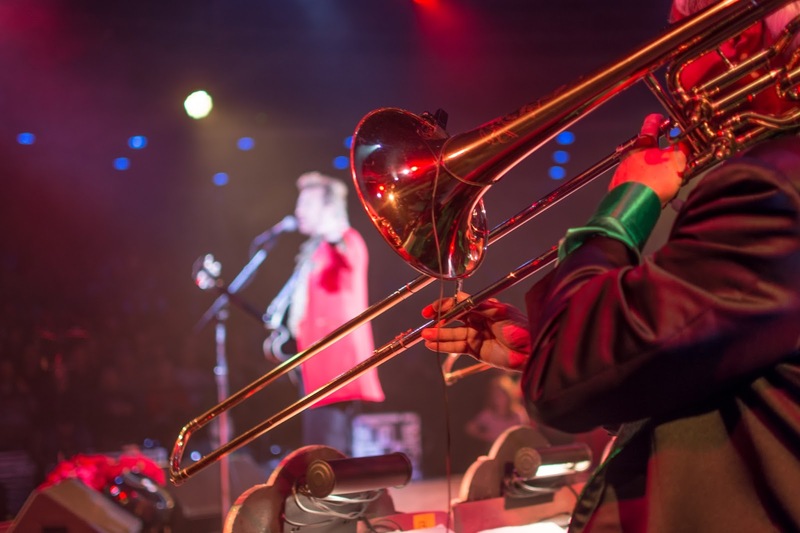 Tour”, rockabilly and swing fans turned out in full force to jump, jive and wail the night away. Rocking’ Around The Christmas Tree got things started as the dance floor began to bustle. Once the tight horn section hit, the crowd responded with overwhelming approval. Brian effortlessly shredded away on his Gretsch, displaying technical prowess throughout a set highlighting Christmas classics like Boogie Woogie Santa Claus, Angels We Have Heard On High, and Rockabilly Rudolph. Upright Bassist John “Spazz” Hatton slapped out the rhythm, occasionally giving us insight into his nickname by dancing gleefully, even standing atop his instrument and somehow holding down the bass line. Exceptional musicianship and the party vibe made for an enjoyable throwback to 40s Swing and 50s Rockabilly. 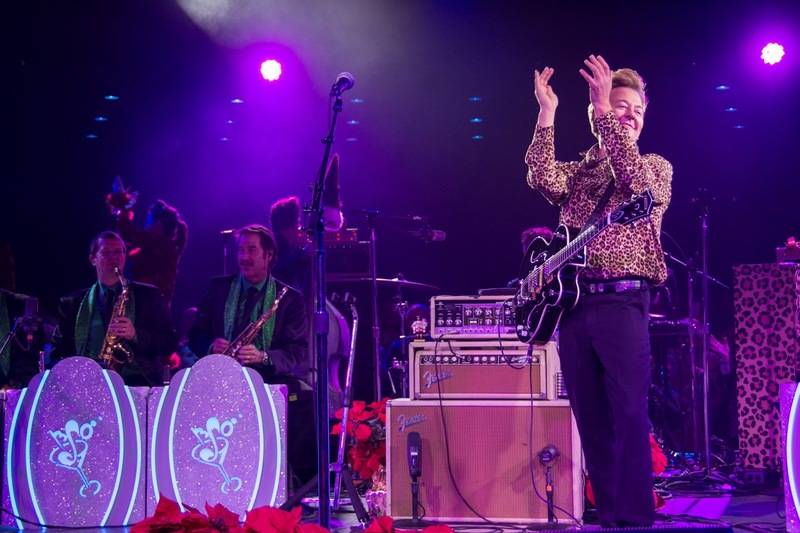 As enjoyable as it is to hear Rockabilly takes on Holiday classics, what Brian Setzer Orchestra does best is Swing. 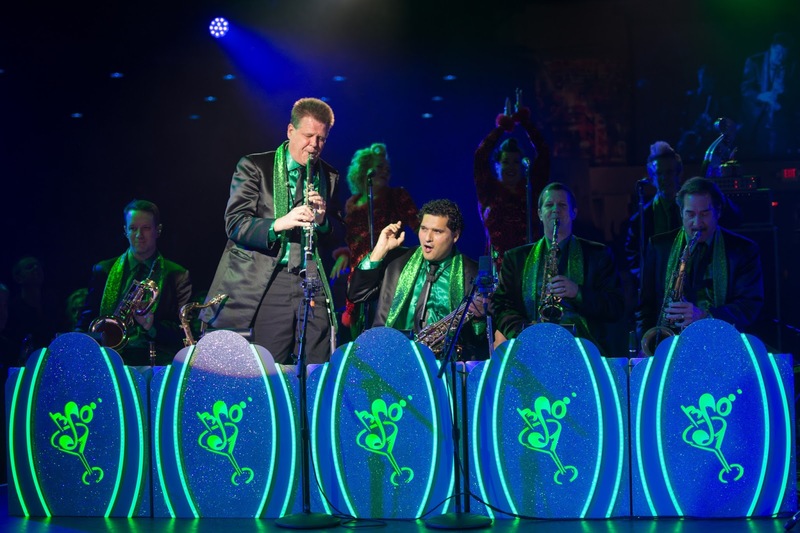 Jump, Jive & Wail (Louis Prima) is a quick reminder of the sudden and meteoric Swing Revival of the late 90s. 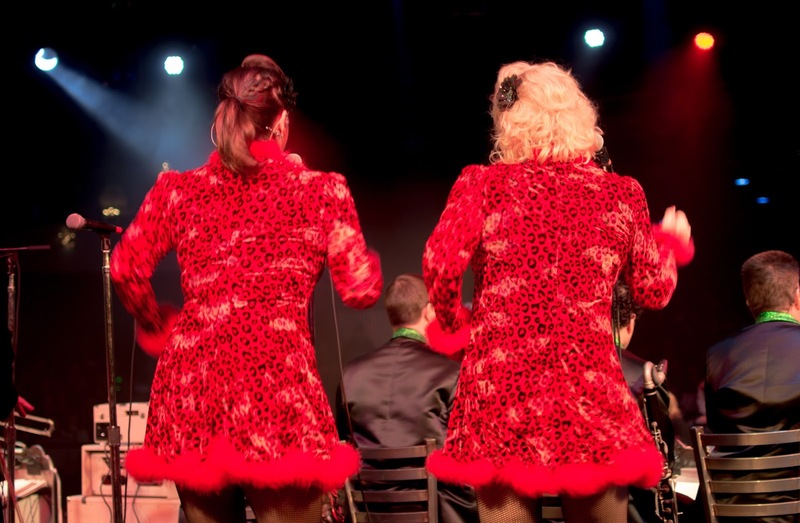 Don’t be shy, a lot of us took those Swing dance classes thanks in big part to Brian Setzer Orchestra. I eyed some other 40-somethings heading to the dance floor for Dirty Boogie and This Cat’s on a Hot Tin Roof to show off their best moves. Rockabilly classics and Stray Cats hits like Rock This Town got even the most reserved of folks out of their seats and boogieing. Brian led his band through a 90-minute set of joyous celebration with precision and energy, something he’s been doing well for 35 years. In the music world, 2016 was a rough year. 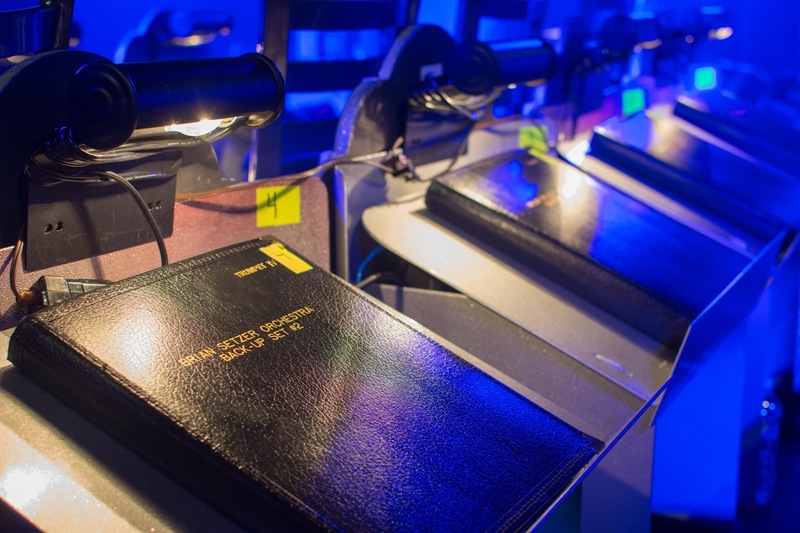 The number of big-name deaths is staggering and leaves music fans in a stupor. Legends like Brian Setzer remind us to enjoy ourselves and dance like nobody is watching. He delivers like it’s his job to make us happy. And we hope we can do it all again next year. Merry Rockin’ Christmas!